The Pello Bikes story. Pello kids bikes are high quality, lightweight and designed specifically for kids. Technically speaking Pello is a small town near the arctic circle and it's also Latin for "I push, set in motion." To us it means bicycle. Started by Shane Cusick, a dad and cycling enthusiast who has spent most of his life on bikes and wants nothing more than to share his love of cycling with his two boys. 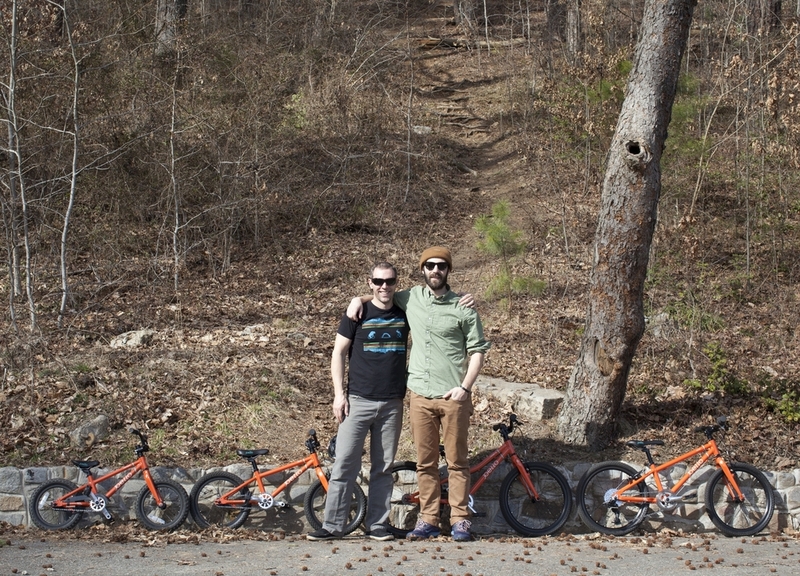 Shane grew up cycling with his family and now works with local nonprofit Bike Virginia. It was when he bought a brand name bike from a local bike shop he realized most bikes on the market for kids are heavy and poor quality. When he met Chris Peel, another avid cyclist, father and graphic designer, Pello was born. We designed 4 different sizes of bikes for ages from three to six and up. They consist of the 14” Romper, 16” Revo, 20” Reddi and 20” 7 speed Rover. One of the main differentiating factors of Pello bikes is the geometry is custom designed for kids. Geometry means all the measurements of the parts of the bike. This is important as it designates how kids bodies fit with the bike, and what position their body is in when they ride. Pello worked with a physical therapist who advised them on designing bikes to suit a developing child. Then they turned these findings into a bike that supports good posture while riding. They call this ‘Ride Right Geometry’. Another of the most important factors in a kids bike is weight. They can’t lift or push the weight we adults can, so a lightweight bike is essential. Most bikes weigh around 20 plus lbs. Pello bikes are designed with lightweight tubing and components to be between 14-18 lbs, this makes riding and lifting the bike much easier. Lastly, we looked at the parts on bikes, and made sure we found good quality parts that you would expect to see in an adult bike. Kenda Tires, Tektro Brakes, SRAM Components, Cane Creek headsets. They work better, and are more reliable. Like it should be.